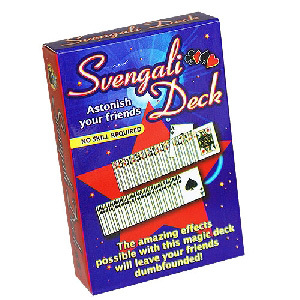 This deck is identical to the economic svengali deck but has a much superior quality. We have decided to keep the same pattern for the back of the cards, but we have changed the key force card. In this new version, it is the queen of clubs, while in the old one it is the 10 of hearts. Imagine the new possibility that this deck offers: you can repeat the effect by just swapping decks, and really blow your spectators minds.